PAC-Kits are assembled and shipped in one convenient package with everything you need to perform a successful A/C compressor replacement while satisfying the compressor warranty. Kits includes the Compressor, Accumulator or Filter Drier, Expansion Device, Comperssor Compessor Oil, and all necessary Gasekets and O-Rings. 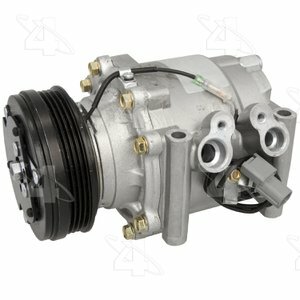 These Four Seasons Complete Air Conditioner Kits come with everything you need to perform a successful A/C compressor replacement while satisfying the compressor warranty. They include all the quality constructed parts needed for replacment.